Fraport Greece presented its plans for the development and upgrade of Corfu airport, during a special event organized at the Chamber of Corfu on Tuesday. "The condition in several of the 14 airports is very problematic, so our first goal in the next eight weeks is to make a good cleaning, to improve toilets, to make passengers' stay more pleasant, to install a new control system and to transform airports in the model of all international airports," Alexander Zinell, CEO in Fraport Greece told ANA in an interview. He presented the benefits for passengers and workers in these airports and noted that nothing will change in the labour status of workers in Civil Aviation Authority. "Our investment will offer benefits to passengers and to airport workers, currently working under very difficult working conditions. Our aim is to improve labour conditions and airport to become better, cleaner and safer for passengers and workers and the society," Zinell said, adding: "Civil Aviation Authority workers are state employees and will not lose their work, but they could work to different posts. We created 560 new job positions and signed cooperation contracts with cleaning and other services companies. This way we create new job positions in all airports for local communities," he added. 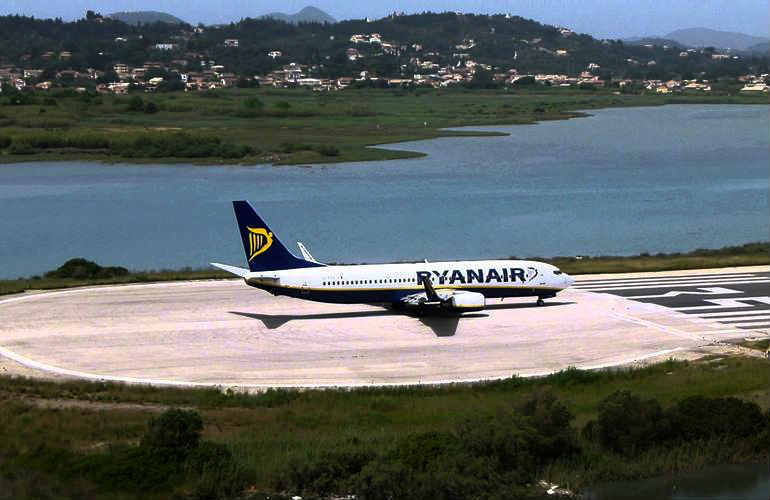 Zinell said Fraport Greece plans to build five new terminal stations in the next four years, among them Corfu, adding: "It is not necessary to have new airport facilities everywhere, but in the next four years we will build five new terminal stations and Corfu will be among them. At the same time, we will make dramatic changes to the remaining airports to bring them to a whole new level". He said Fraport Greece was seeking to sign a cooperation agreement with Qatar Airways, an airline interested in launching flights to Thessaloniki and Mykonos. Zinell said there will be no extra charge for passengers in Greek airports but left the door open to introduce a parking fee in airports.